PHOENIX – A joint cancer screening program for Valley police and firefighters that began in November has detected two cases of prostate cancer, two cases of skin cancer and a thymus tumor, but all were caught early enough to successfully treat, officials said at a news conference Thursday. 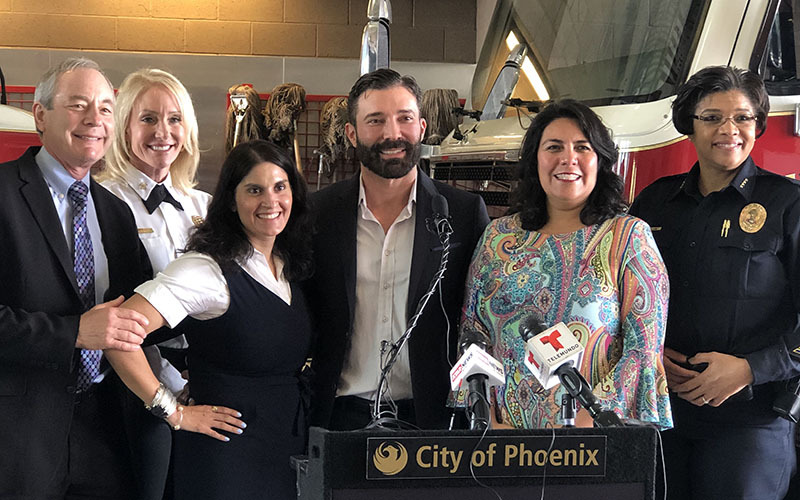 The partnership between the city and Vincere Cancer Center of Scottsdale, which was spearheaded by Councilwoman Laura Pastor, so far has screened 132 firefighters and 32 police officers free of charge, according to Dr. Vershalee Shukla, a radiation oncologist at Vincere. 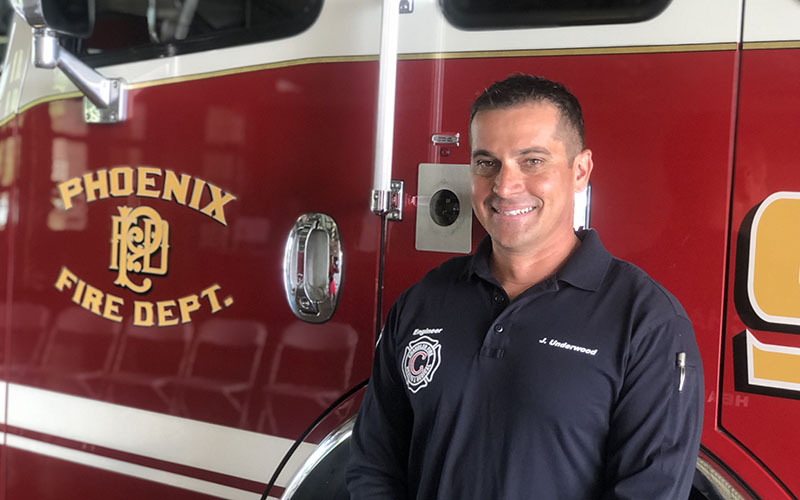 The screenings may have saved the life of Jason Underwood of the Chandler Fire Department. Lung screenings had the highest number of detections, with 41 nodules found. Underwood was lucky to have been allowed to undergo a low-dose computed tomography scan for lungs. That allowed Shulka to find Underwood’s tumor and treat him without chemotherapy or other harsh procedures. Phoenix Fire Chief Kara Kalkbrenner expressed gratitude for the program. The joint program also addresses the stresses first-responders experience. In response to stress, Dr. Pablo Prichard said, the body releases cortisol, a hormone that can depress the immune system and make first-responders more susceptible to cancer. Vincere Cancer Center has partnered with Deepak Chopra Interspace to help police officers and firefighters deal with the intense pressures of their jobs. “With Deepak Chopra techniques, including yoga, meditation, therapies and grounding, we’re trying to reduce the stress of the first-responders to again help their immune systems,” Prichard said. Pastor hopes to eventually offer these free screenings and preventive measures across the nation. She and her partners plan to install “grounded meditation centers” in all 59 Phoenix firehouses by the end of the year. Pastor reached out to Kalkbrenner and Police Chief Jeri Williams after Vincere Cancer Center officials told her about the health risks of first-responders.